A strategy for increased banking opportunities in Southeast Asia. Despite limited opening of ASEAN countries' banking market, Korean banks are stepping up efforts to operate business in this region in line with the government's New South Policy. For successful local business, it is important to deepen understanding of local markets, as well as local culture and customs, and strengthen financial cooperation to build a more favorable and positive relationship. Recently, Korean financial firms are spurring efforts to do business in Association of Southeast Asian Nations(ASEAN) countries and India in tandem with the government's pursuit of New South Policy, which aims to deepen cooperation and exchanges with the 10 ASEAN member countries as well as India for shared growth and prosperity. The attractiveness of the region for them includes high growth potentials of the economies and the large population with the greater size of the younger generation. Running a banking business in this region depend on the host countries' policy on the banking market. A typical example is market entry barriers that ASEAN countries have. They include higher minimum capital requirements for local incorporation or branch of foreign banks compared to domestic banks, restrictions on foreign banks' equity holding of domestic banks, or requiring an approval if the maximum equity holding level is exceeded. For instance, Thai government requires foreign banks to put up minimum 20 billion baht to establish a local incorporation, and 3 billion baht for a local branch, compared to 5 billion baht for a domestic bank. Also, a foreigner who owns equity shares of a Thai bank should obtain approval from the central bank and the Ministry of Finance each time when their shareholdings exceed 25% and 49%. In addition to these explicit restrictions, other qualifications and conditions are inspected closely as well, including a foreign bank's asset soundness, governance structure, risk management capacity, internal control, global competitiveness, and the supervisory relationship between the home country and host country. ASEAN governments also approach the issue of opening the banking market from a reciprocal perspective, which means that it might consider whether to allow a foreign bank based on the principle of reciprocality. Given these, it seems that most ASEAN countries do not easily allow foreign banks to enter in their region. Regarding the operation of banking business among ASEAN countries, they designate qualified ASEAN banks(QABs) according to bilateral agreements to allow their access to the banking market. This system was introduced in 2015 when the ASEAN Economic Community launched, hoping that the designation of QABs would contribute to promoting corporate activities, trade and investment, and economic growth through more efficient funding intermediation. To become a QAB, the home country and the host country need to agree on various conditions including the applicant bank's market share in the home country, track records, preparedness for overseas expansion, its plan to support the economic growth of the host country, and funding capacity for subsidiaries in the host country. The applicant bank should meet these requirements in addition to general eligibility requirements of the home country for banking operation. Once designated, the bank may conduct the same operations in both countries, acquiring market access and business flexibility. According to an agreement of the ASEAN Economic Community, two banks may be endowed as the QAB by 2020, and in 2017, Indonesia's Bank Mandiri became the first one, obtaining the qualification from the Malaysian government. Limiting the number of QABs indicates that ASEAN countries are wary of opening their banking sector, amid negative consequences of the integrated banking market in the region. Specifically, many worries that, due to wide discrepancy among ASEAN countries in terms of economic and financial development, it is hard to ensure a level playing field for competition, and also an entry of foreign banks with weak risk management capacity might escalate uncertainties in the financial market of the host country. Despite such limited opening of the banking market in ASEAN, Korean banks are putting efforts to establish local business presences in the region. For successful localization in this region, many tasks are ahead. To foster selling of customized products and retail services, it is essential to acquire a deeper understanding of the local market condition, as well as local culture and customs. In 2015, Australia's ANZ and Japan's Sumitomo Mitsui established banking subsidiaries in Thailand, after having operated a Thai office since 1985 and 1993, respectively. This might be a change in the Thai banking market condition but would be the result of the long-term approach that these banks had in preparation for the future transition. 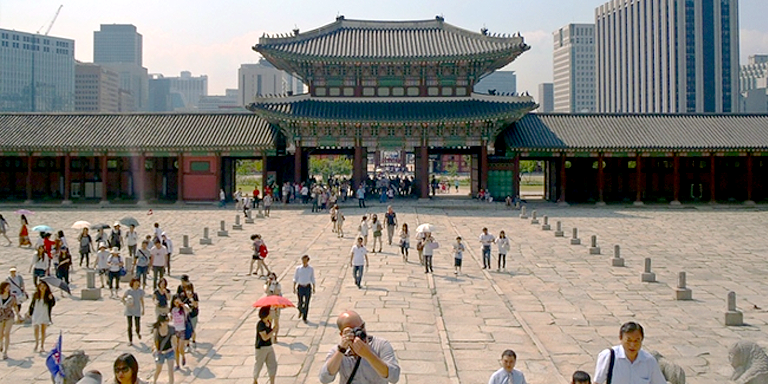 As is seen in the case of Citi Bank's successful establishment in the Republic of Korea based on its reputation for contributing to the Republic of Korea's economic growth, business localization calls for intimate understanding of the local market that is acquired over a long time, as well as favorable reception of local people. Meanwhile, as mentioned above, one of the reasons that delay the opening of ASEAN banking market and its regional integration is a wide gap across the region in terms of financial sector development. To mitigate this, it would be helpful to support capacity building of private-sector financial experts as well as government officials in less financially developed countries like Cambodia, Laos, Myanmar, and Vietnam. Financial capacity building in these countries could help to narrow financial capacity gap within the region accelerating further integration of the banking sector. Such efforts would be in line with New South Policy as well, which pursues shared prosperity based on exchanges of human resources and mutual understanding. Lastly, the government would need to continue to play a pivotal role in fueling financial cooperation with ASEAN countries in both private and public sectors. His research area is financial education. He has a Ph.D. in Economics from the University of Washington. His work experience includes serving as director of the administrative division of Korea Institute of Finance; co-editor-in-chief, Journal of Money and Finance, The Korea Money & Finance Association; committee member, Advisory Committee of Investment Policy, National Pension Service; and associate professor, College of Northeast Asia, Kwangwoon University.